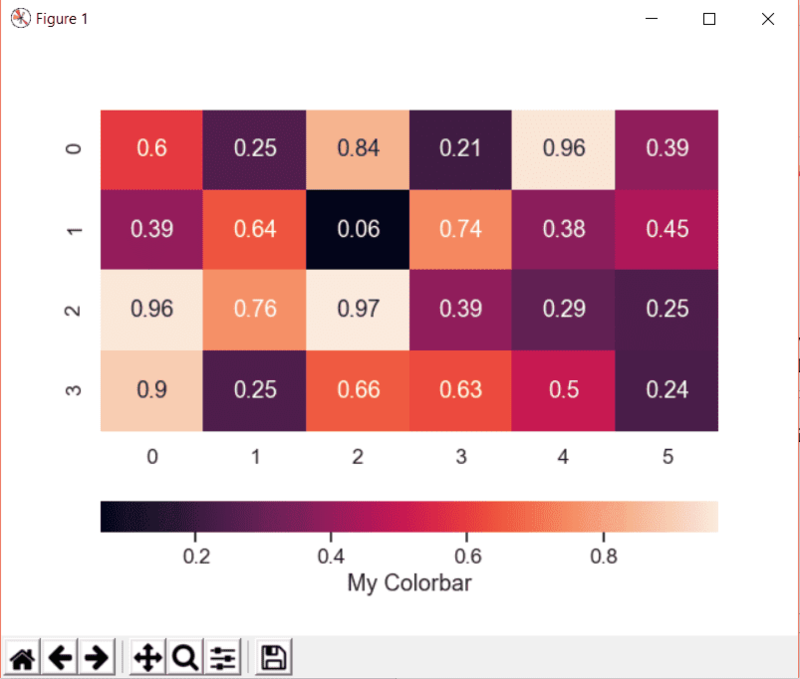 In this tutorial, we will represent data in a heatmap form using a Python library called seaborn. This library is used to visualize data based on Matplotlib. You will learn what is a heatmap, how to create it, how to change its colors, adjust its font size, and much more, so let’s get started. The heatmap is a way of representing the data in a 2-dimensional form. The data values are represented as colors in the graph. The goal of the heatmap is to provide a colored visual summary of information. To create a heatmap in Python, we can use the seaborn library. 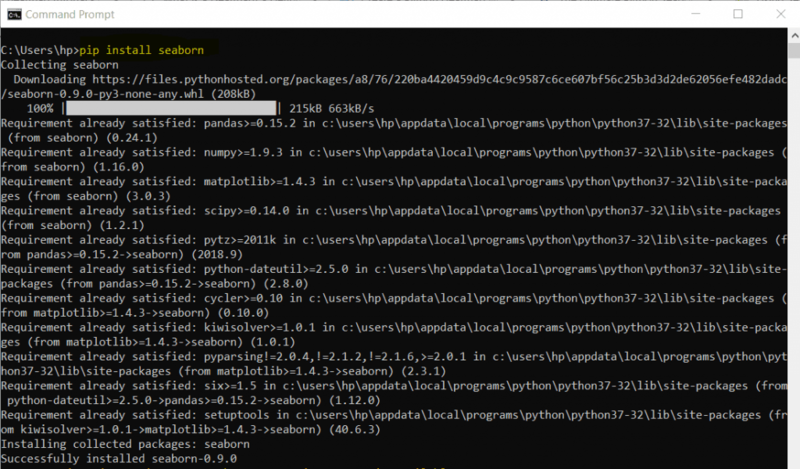 The seaborn library is built on top of Matplotlib. 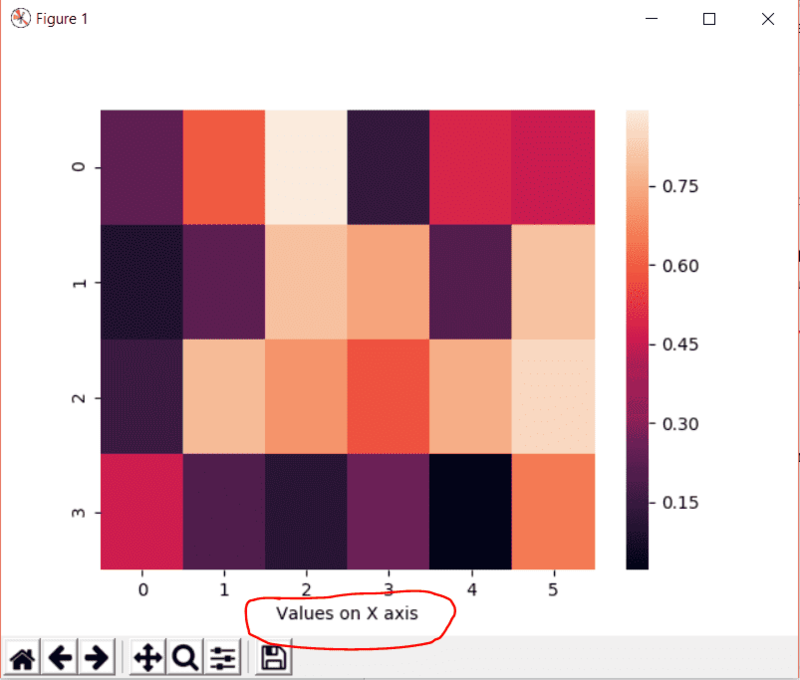 Seaborn library provides a high-level data visualization interface where we can draw our matrix. 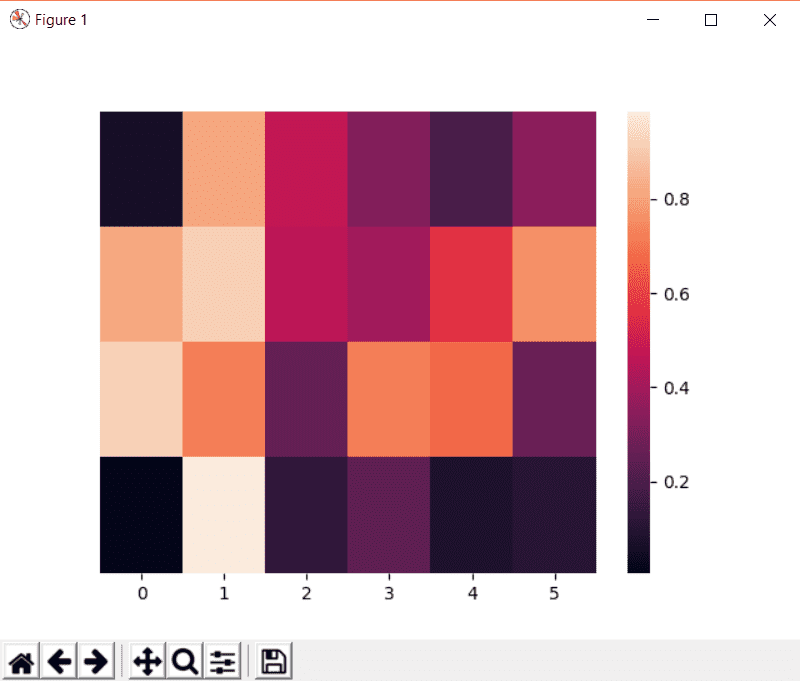 We imported the numpy module to generate an array of random numbers between a given range which will be plotted as a heatmap. Congratulations! Your first heatmap is just created! The labels for y axis are added by default. To remove them, we can set the yticklabels to false. 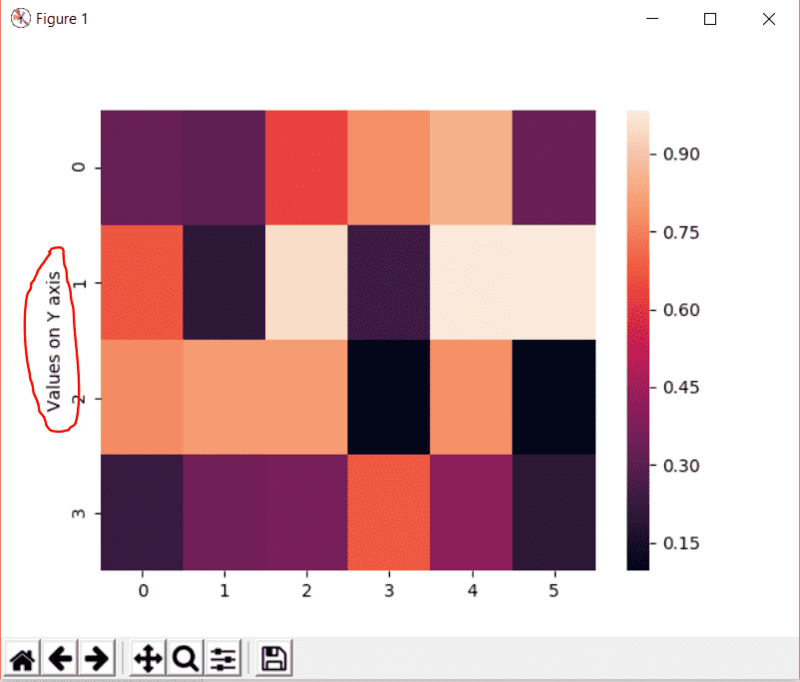 You can change the color of seaborn heatmap by using the color map using the cmap attribute of the heatmap. 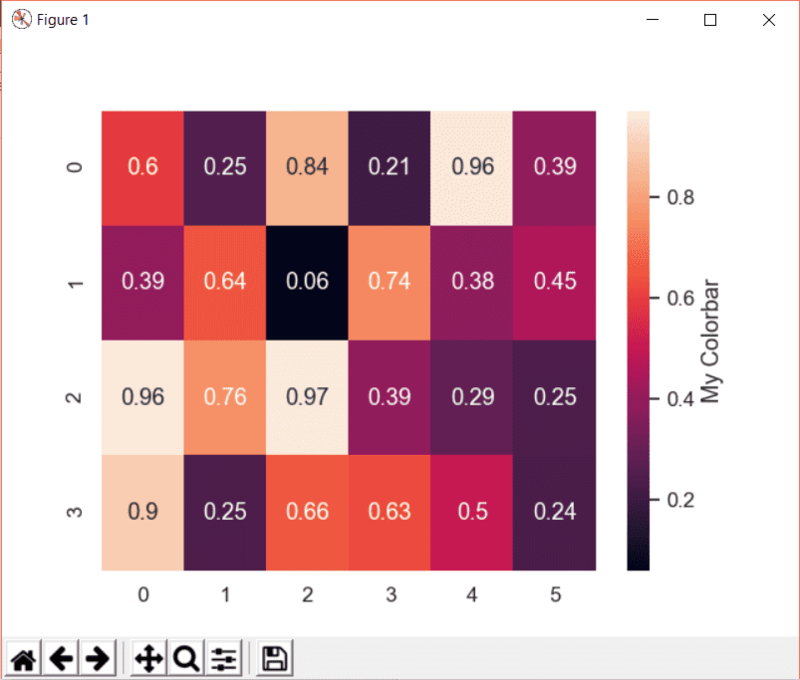 In Seaborn heatmap, we have three different types of colormaps. 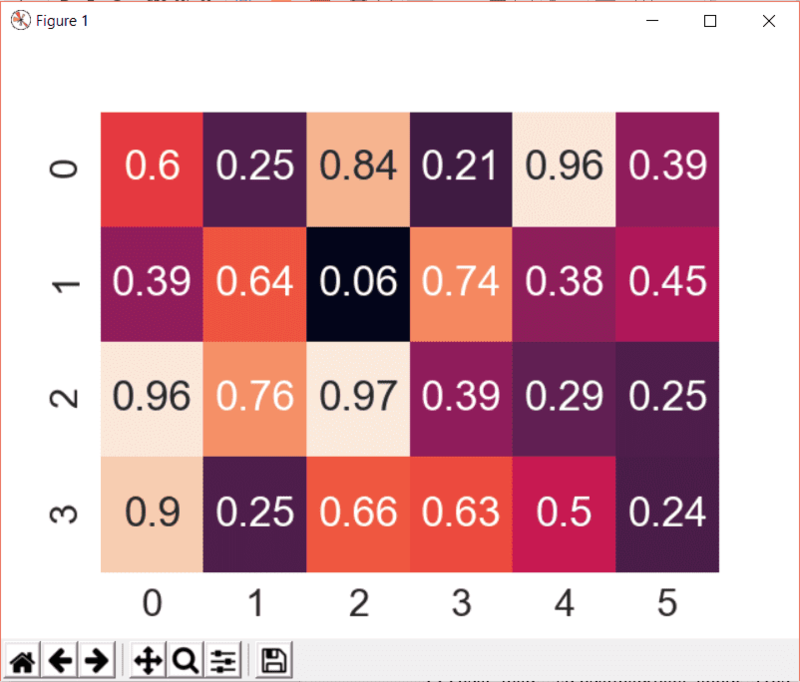 The sequential color map is used when the data range from a low value to a high value. The sequential colormap color codes can be used with the heatmap() function or the kdeplot() function. This image is taken from Matplotlib.org. 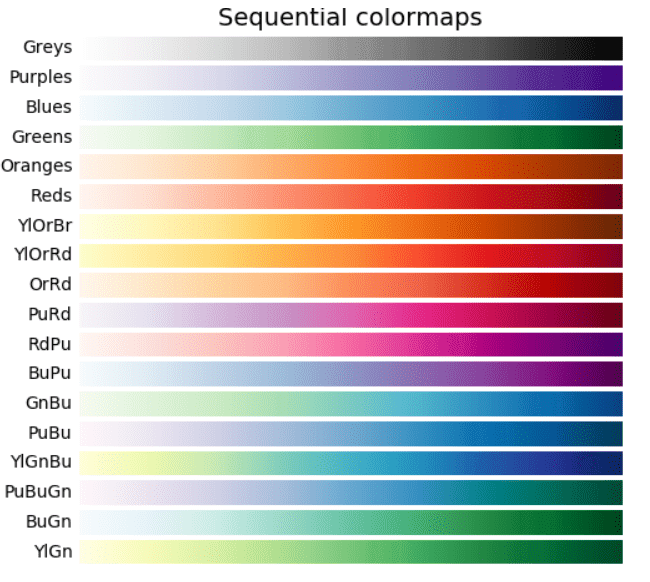 The cubehelix is a form of the sequential color map. The cubehelix is used when there the brightness is increased linearly and when there is a slight difference in hue. 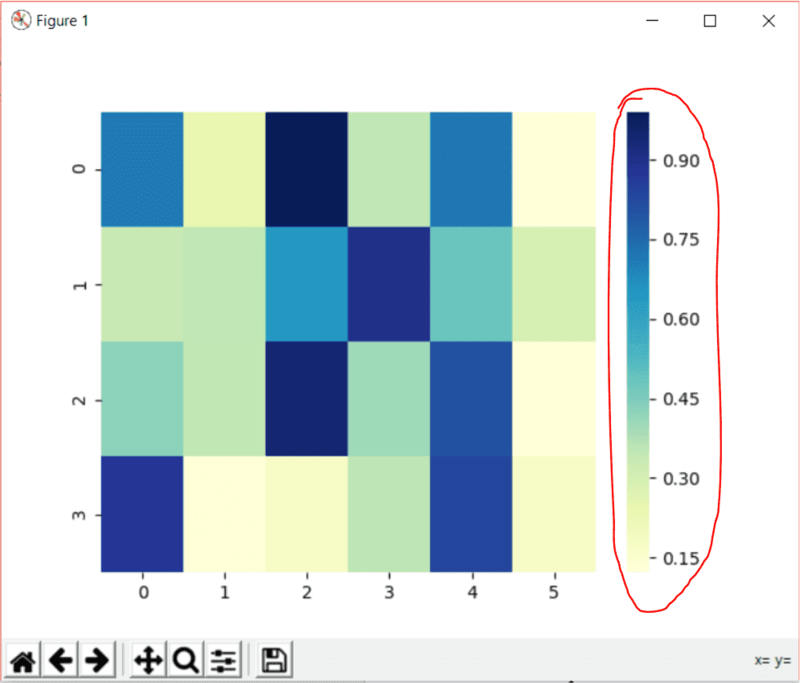 You can use the diverging color palette when the high and low values are important in the heatmap. The divergent palette creates a palette between two HUSL colors. It means that the divergent palette contains two different shades in a graph. In Seaborn, there is a built-in function called mpl_palette which returns discrete color patterns. 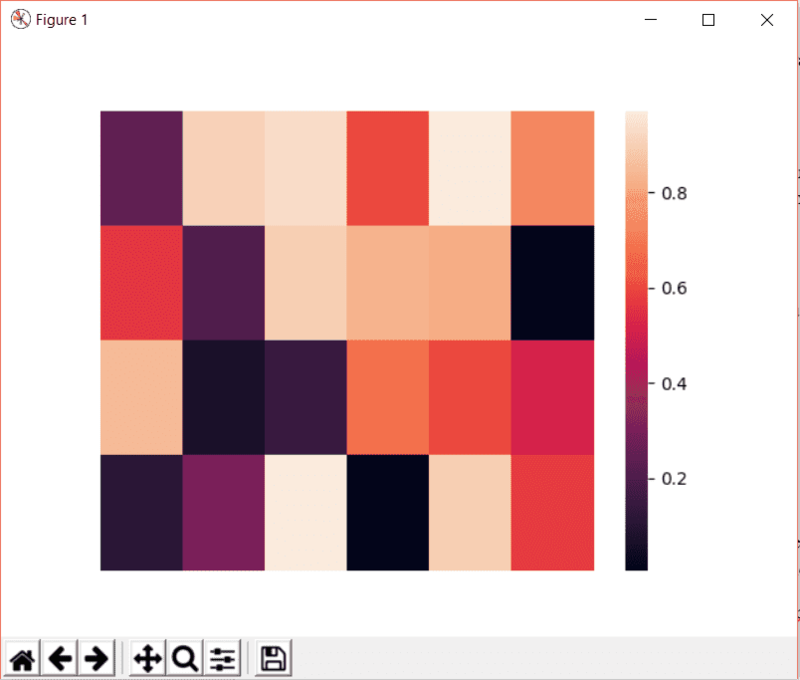 The mpl_palette method will plot values in a color palette. This palette is a horizontal array. The argument Set3 is the name of the palette and 11 is the number of discrete colors in the palette. 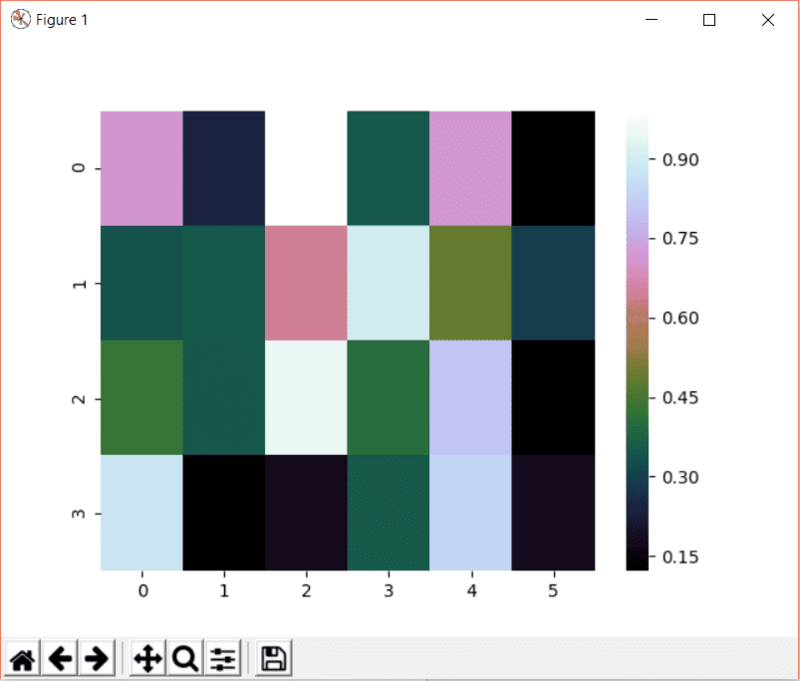 The palplot method of seaborn plots the values in a horizontal array of the given color palette. 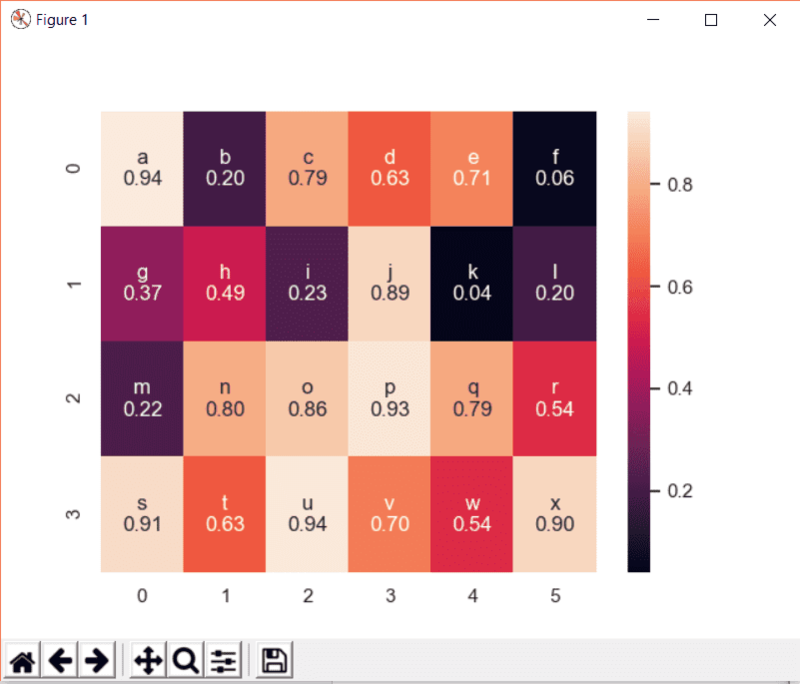 To add text over the heatmap, we can use the annot attribute. If annot is set to True, the text will be written on each cell. If the labels for each cell is defined, you can assign the labels to the annot attribute. We can customize the annot value as we will see later. To add a color bar title, we can use the cbar_kws attribute. In the cbar_kws, we have to specify what attribute of the color bar we are referring to. In our example, we are referring to the label (title) of the color bar. Similarly, we can change the orientation of the color. The default orientation is vertical as in the above example. If we need to change the font size of all the components of seaborn, you can use the font_scale attribute of Seaborn. We can change the tick labels rotation by using the rotation attribute of the required ytick or xtick labels. This is a regular plot with random data as defined in the earlier section. In the earlier section, we only added values on the heatmap. In this section, we will add values along with the text on the heatmap. Okay, so here we passed the data in the text array and in the data array and then flatten both arrays into simpler text and zip them together. The resultant is then reshaped to create another array of the same size which now contains both text and data. The attribute fmt is a string which should be added when adding annotation other than True and False. 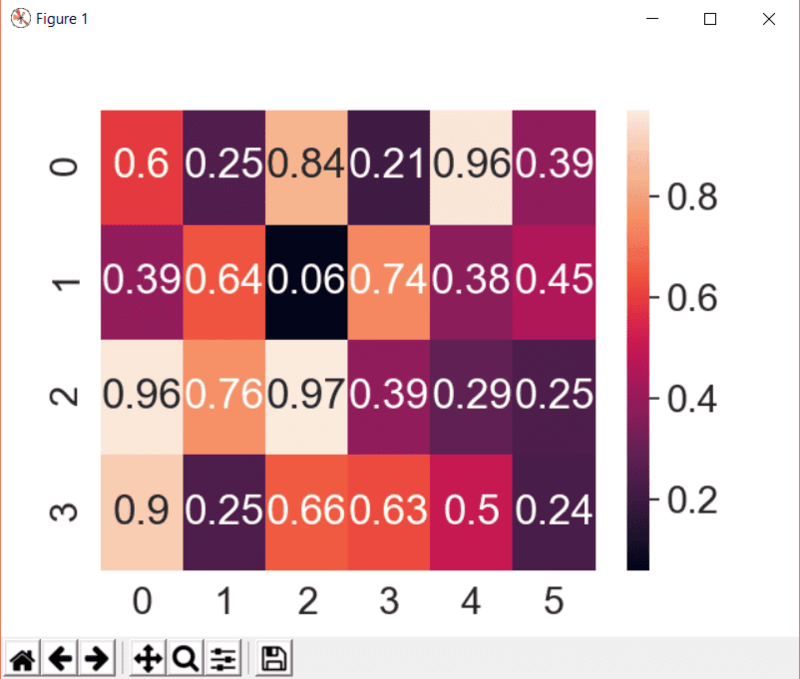 Working with seaborn heatmaps is very easy. I hope you find the tutorial useful.